Donna Brazile doesn’t know what to do these days. 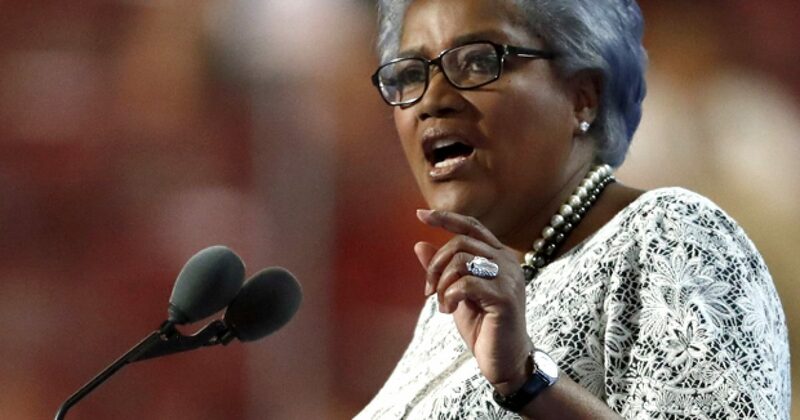 In her book Hacked, Brazile revealed the crooked nature of the Democratic Party, the DNC, and specifically the Clinton campaign. President Trump rightfully seized on the revelations, as they validate what he had said all along about the Democrat machine. Likely after a few high-level phone calls, Brazile decided to push back on the president, in an effort to walk back her comments. Then that backfired. First, President Trump used Brazile’s own words in his statement. That made the allegations by Brazile that the president had “twisted” her words difficult to deny. But worse, even to the casual observer it was clear that Brazile was spooked. Second, even Leftists saw through the ruse of going after Trump. In fact, the attack appeared rather “Weinsteinesque”. Brazile was caught red-handed, and like Weinstein vowed to go to therapy and attack Trump. Too much too soon, given that Leftists still reel from Weinstein, Spacey, Fusion GPS, Uranium One, and IRS scandals. Then there is the biggest scandal of all: President Trump’s success. Speculation is that even Barack Obama may have told Brazile that her career with the Democrats was over. Holy Mother of Kunta Kinte, god himself may have gotten involved. In the end, Brazile looked rather helpless. I wrote of Brazile as being little more than a plantation slave returned under the Fugitive Slave Act, a favorite part of the Constitution for Democrats. I’m sure I wasn’t the only one who suspected why Brazile amended her interpretation of what she obviously wrote in her book. Apparently Brazile changed her mind on strategy again. This time, she pushed back to her critics, telling them to “Go to hell.” Given that nobody on the Right is critical of her truths, she obviously refers to the Socialist Progressive Communist Democratic Party. “For those who are telling me to shut up, they told Hillary that a couple of months ago, you know what I tell them, ‘Go to hell.’ I’m going to tell my story,” she said on ABC “This Week” on Sunday. “Because this is a story of a young girl who started in American politics at the age of 9, who continues to fight each and every week of her life,” she added. My bet is some rich fat cat Leftist fed up with the Clintons put a protective gauntlet around Brazile to make her feel safe. Regardless, given her track record, I suggest we wait a few days to see what her next move is. Even if this move only lasts one day, I’m happy to see her challenge the system. I suspect many Democrats are soul-searching. Their foundation has been rocked. And as they must deal with the fallout of their elitist crooks, they must also reconcile that Conservative’s were right about them. At least for now, Brazile has left witness protection, the equivalent of rehab for politicians. Now let’s see if she can survive being out in the open.